Today we’re joined by journalist and political analyst Juan Williams for a look at a surprising moment in African American history. Williams joins us to discuss the formation of the all-black fighter pilot unit The Tuskegee Airmen, who fought during World War II, and why the young Thurgood Marshall, then an attorney at the NAACP, opposed the formation of the segregated unit. 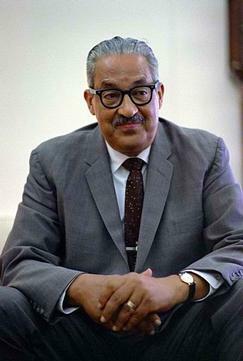 Williams is the author of Thurgood Marshall: American Revolutionary, as well as his most recent book, Muzzled: The Assault on Honest Debate. Read more in Michael Long’s article, Red Tails and Black Justice.